Below you’ll find a list of the professional development topics we cover on JD Careers Out There. You’ll hear everything you want to know about being a lawyer on JDCOT – from interviewing and networking, to working with or or becoming a law firm partner, to leaving the law. To find the advice you need, you can browse all the Professional Development videos. Or we also recommend checking out “Related Advice” at the bottom of every post. Plus you can type in the search box in the top right hand corner of the site. If you’re new here, JD Careers Out There is the video resource for career advice for lawyers and law students. In our career path videos, I interview accomplished law grads about being a lawyer and alternative careers for lawyers. You’ll discover what to do with a law degree and how to get there, and the professional development videos below will help you excel in your chosen path. 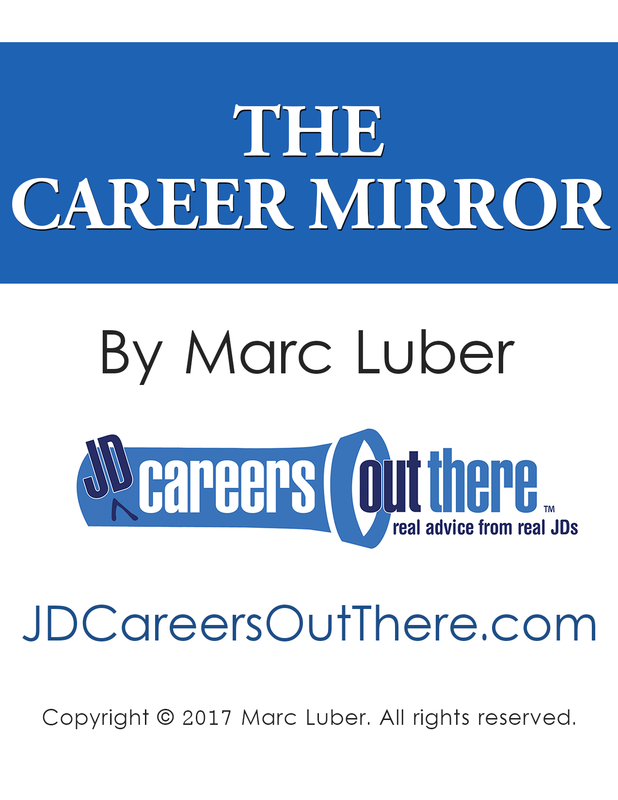 Be sure to sign up to receive The Career Mirror: Reflection Questions For Your Job Search. This FREE self-assessment will help you get started on the path to finding a career you’ll love.